A daily-use, 2-in-1 shower scrub that gently exfoliates and cleanses the skin, and stimulates the senses. 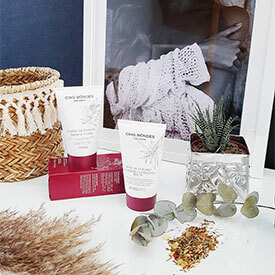 Purée de Papaye® is adapted from a beauty recipe which has traditionally been used in the Kingdom of Siam since the 16th century to restore radiance and softness to the skin. 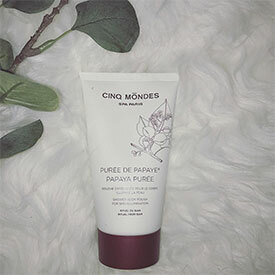 Thanks to the natural extracts of Papaya rich in Papain, Coconut powder, Diatomaceous Earth and Kemiri oil, the Purée de Papaye® shower scrub gently cleanses and purifies the skin. 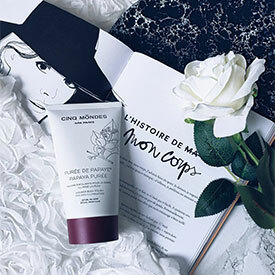 Purée de Papaye® exfoliates, refines and brightens the complexion. Ideal for sensitive skin. Put two large, walnut-sized, amounts of Papaya Purée® in the palm of your hand. Apply to wet skin and scrub the whole body in gentle circles starting at the feet, then rinse with clear water. 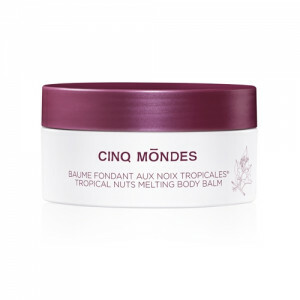 Skin Care Tip: after this scrub, don’t forget to moisturize your skin with the Tropical Nuts Melting Body Balm® to reveal silky-soft skin. 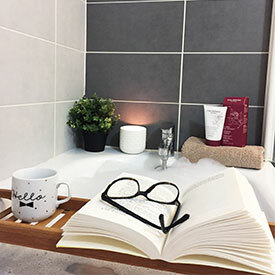 The 50 micron grains of Diatomaceous Earth accelerate the natural process of eliminated dead cells from the epidermis, giving skin renewed radiance and softness. The Papaya, or Paw-Paw tree comes from Indonesia. The oil extracted from papaya seeds is very rich in vitamin C which boosts radiance; it also contains provitamin A. It fights excess free radicals which are responsible for the aging of cells, and also has softening virtues. Indian healers still use a paste made from crushed papaya seeds to heal skin problems. Papaya seed extract contains papain, an enzyme with a smoothing, softening and exfoliating effect. Very good, meets my expectations.